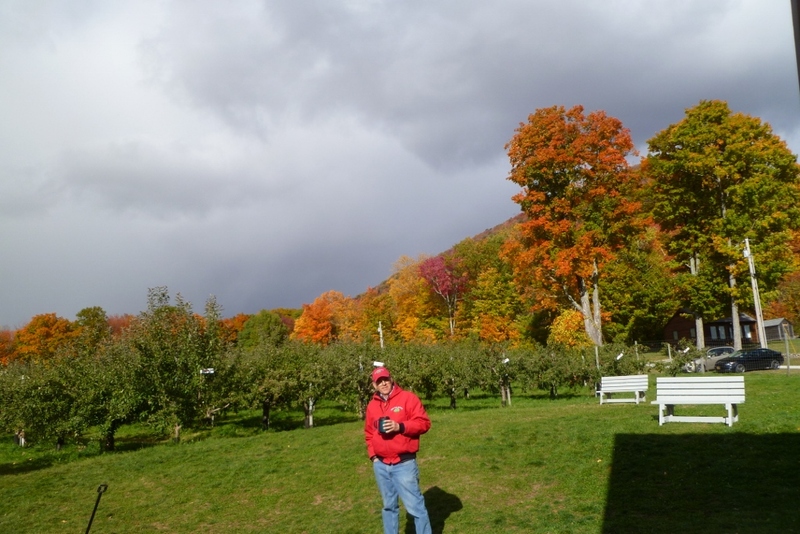 We finished out the 2015 apple season on a very cold Sunday (Oct 18). It was great to see so many familiar faces and many new ones as well. You picked a record number of apples!! Because the crop was so large this year, there are also a record number of apples left. We can no longer sell them because two hard freezes means they will not keep well. 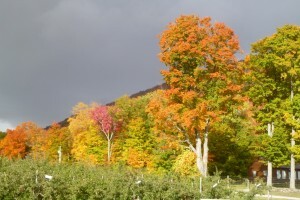 Some will be picked by a local farmer for cider vinegar and apple sauce – some more for folks to feed to their animals. If you want to pick in quantity, contact us this week to arrange time and price. The remainder will compost back into the soil to add organic matter. 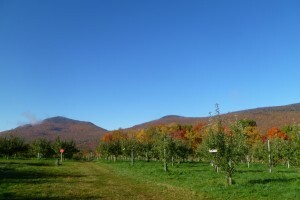 Good place to find apples already picked is at Dutton Berry Farm in Manchester on Route 11 &30 – tel 802-362-3083. Look forward to seeing you next year!! 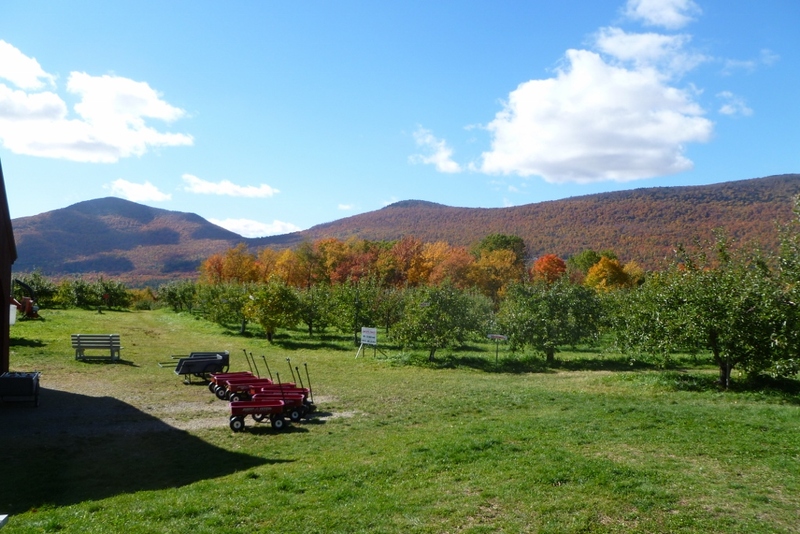 The orchard has celebrated it’s 75′th year with a bumper crop. There continues to be good fruit on the trees for MacIntosh, Cortland, Macoun, Empire and Gala as well as lots of good drops. 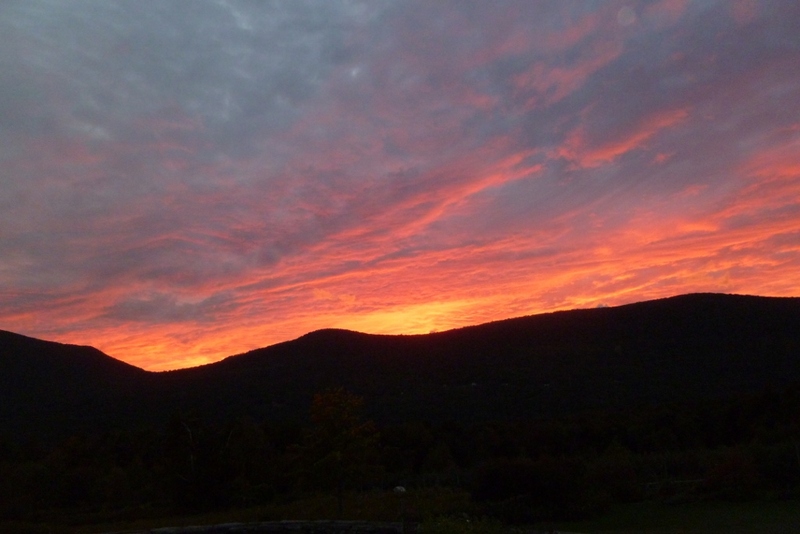 The weather prediction is for much colder weather but no freeze until Saturday night. 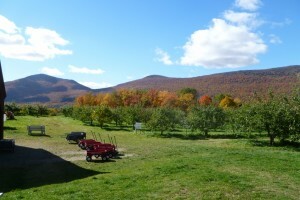 Best to try to get your apples Friday or Saturday. We will have cider and donuts on both Saturday and Sunday. 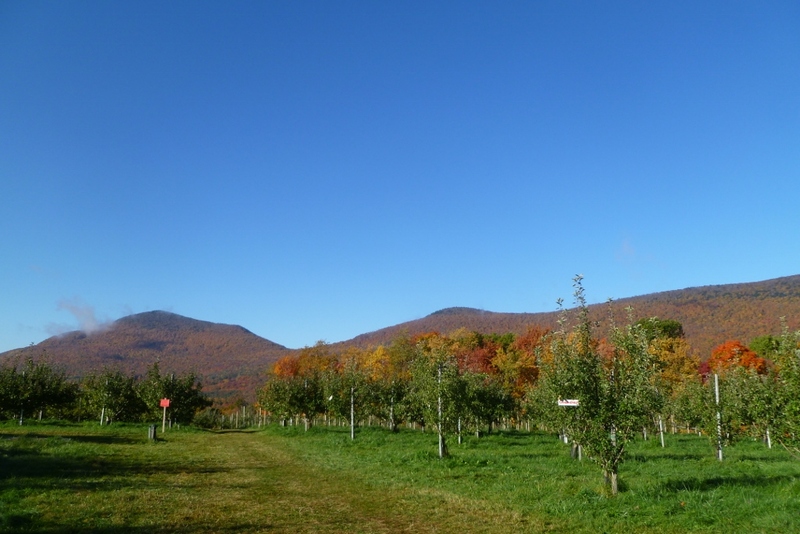 When the apples freeze better to wait to pick them after they thaw – so on Sunday if it is 24 degrees at your house (like predicted here), then wait until 11:00 or later to come out. Sunday will be our last open day – after that there will be a few folks who pick drops in bulk for cider, cider vinegar and their animals. Thanks for making this a great season! Great turnout on Columbus Day weekend. We still have very good picking for MacIntosh, Cortland, Macoun, Empire and Gala. Lots of good drops at half price. Sunday October 18 will be our last day. Get your last supply of apples and help us finish out a great season.